Please enjoy the woven pattern that gathered the plants that colors every season in Japan. 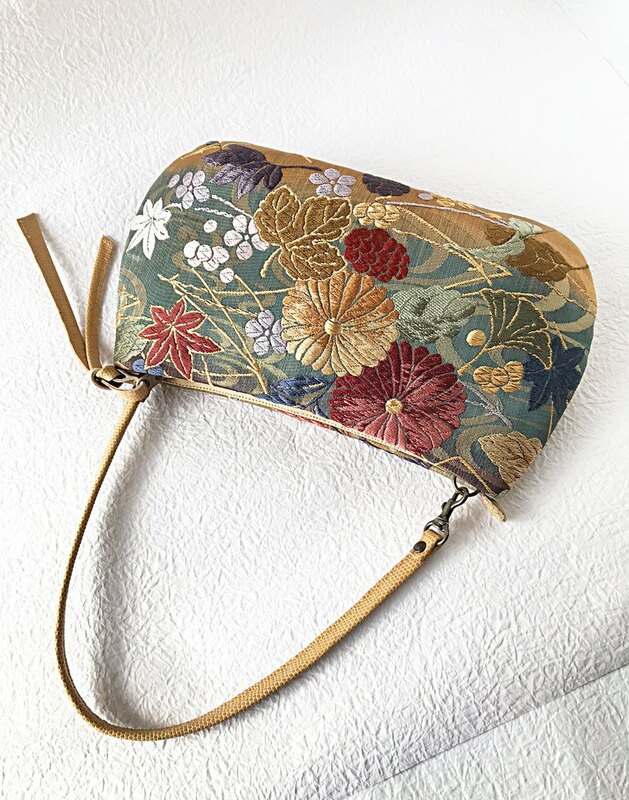 We have remodeled the Karasuri baggage into a handbag, which is woven into a flowing water with a pattern of gathered plants that are colored every year in the four seasons of Japan. There is elegance in the ornate. I think that you can use it in various scenes from gorgeous seats to everyday. You can use it as a handbag because you can remove one side of it so that it can be removed. Fastener to open and close Vertical 16 cm Horizontal bag mouth 25 cm middle 29 cm Bottom width 6 cm Ship bottom type Inner pocket open pocket zipper pocket Handle width 1.2 cm Length 44 cm (including Nasukan) Embossed leather It is a band remake item. Although we are producing with extreme care, there may be scratches, dirt etc overlooked points. Please understand beforehand that it is a used item and recycled item. As we produce everything manually, please understand as each item a slightly different color or shape. Please confirm the "size" and "material" of the work before purchase sufficiently. The color may look different on the screen and the real thing. If you have any questions, please contact us.